Body 100 polyester. Lining 95% polyester and 5% spandex. 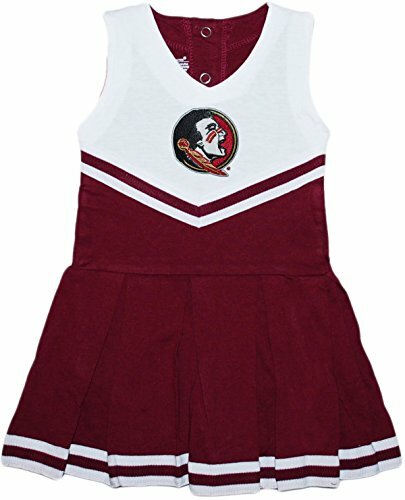 Officially licensed by college NCAA. 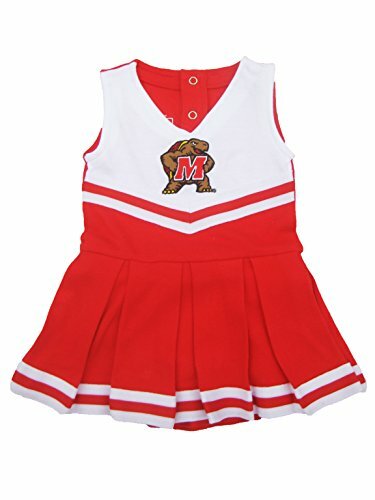 100% cotton cheerleading dress - perfect for your little fan! Let your little one root for your team in style and comfort with this classic cheerleader uniform with attached 3-snap bloomer underneath. Team logo embroidered/appliqued on front. 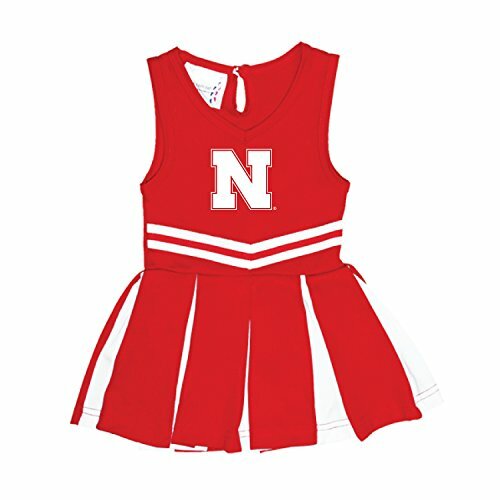 Little Kings was founded so fans can include their whole families in rooting on their favorite NCAA team. 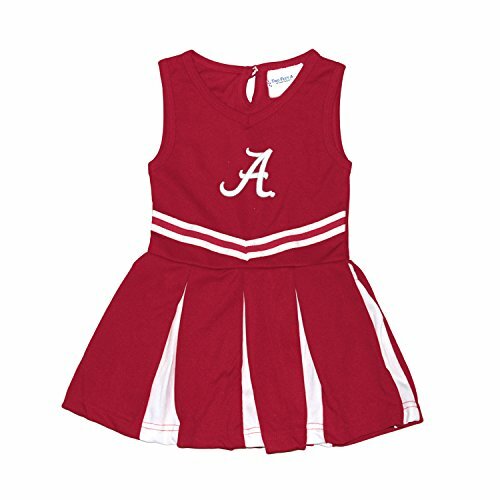 Now infants through youth can wear officially licensed NCAA gear. 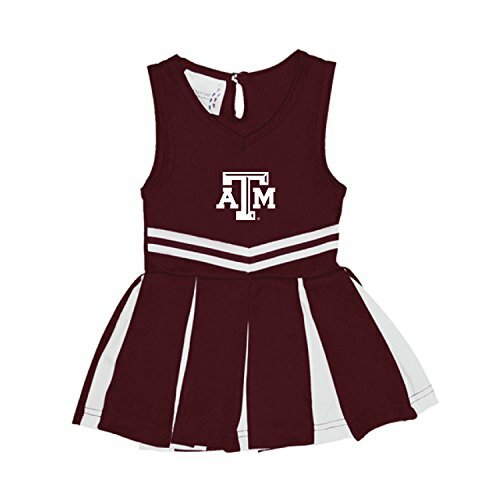 Show your team spirit by having your kid wear the newest styles and designs from your favorite school. 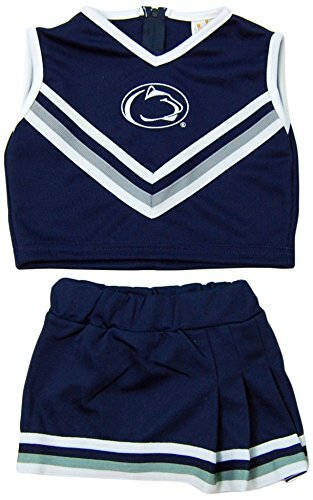 Get in the game with Little Kings two piece cheerleading outfit. 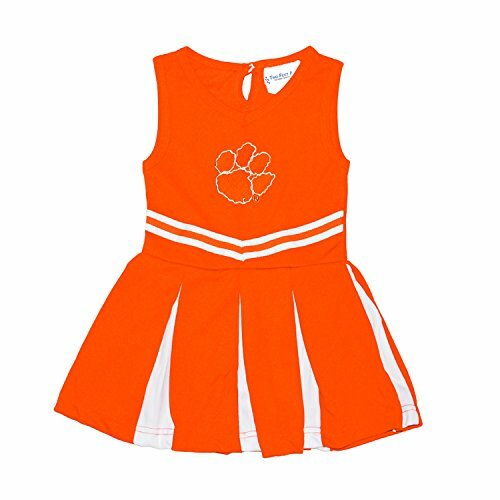 Take your fandom to the next level while your little girl jumps around showing schools spirit.